Labinprogres-TPS, as a member of the Croatian Agricultural Equipment Cluster, will perform for the first time at the largest international fair of agricultural machinery Agritehnica, which will be held in Hanover, Germany, from 15 to 19. November 2011 (Business days 13 and 14 November). Presentation of Cluster and its members, which along with Labinprogres makes OLT Ltd., Standard MIO Ltd., Hittner Ltd., GRAMIP TPS Ltd., POD Ltd., Hydraulics Ltd., Peck Ltd., Megametal Ltd., will be organized and sponsored by the Croatian Chamber of Commerce. 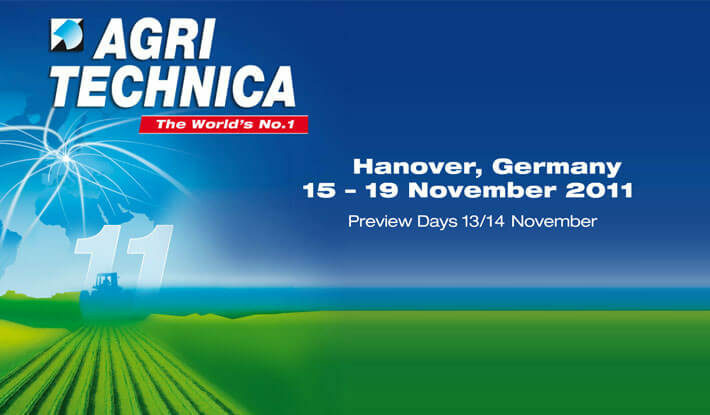 Fair Agritechnica with 24 exhibition halls, with over 320,000 m2 of exhibition space and more than 2,600 exhibitors, is the leading international trade fair for agricultural machinery and equipment. Visit Agritehnica and stand of Croatian Agricultural Equipment Cluster, which is located in Hall 23, position 23B17.